Before the discussion on how to use a network switch, you should have a general understanding of the function of switch in networking first. 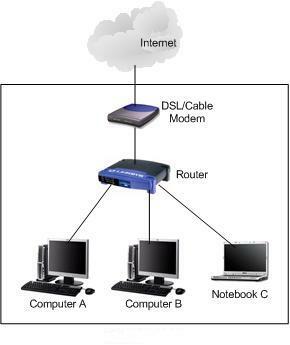 Normally, a network switch is used to expand network. It is usually used to connect computers and other devices to a wired network. Then, how to use a network switch properly? Generally, you can find fixed configuration switches in Fast Ethernet with a speed of 10/100 Mbps, gigabit Ethernet switch of 10/100/1000 Mbps and 10GbE switch of 10/100/1000/10000 Mbps and even some Ethernet switches of 25, 40 or even 100 Gbps! Currently, gigabit Ethernet switch is the most popular switch among all Ethernet switches and is widely used for its cost-effective character. 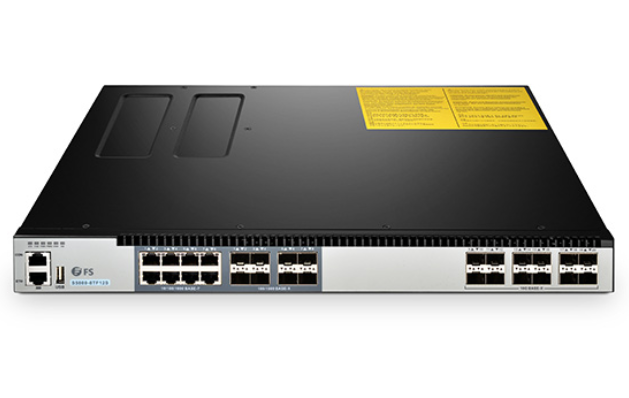 10GbE switch is more popular in data centers for higher speed and a relatively lower price. However, you still need to use a network switch according to the speed you need. These Ethernet switches have a number of uplink ports and downlink ports. Downlinks connect to end users, while uplinks connect to other switches or to the network infrastructure. Connect right cables (copper or fiber) to each port providing with different speeds. Fixed configuration switches typically come in 5, 8, 10, 16, 24, 28, 48, and 54-port configurations. These ports may be a combination of SFP/SFP+ slots for fiber connectivity and RJ-45 connectors on the front for copper connectivity. Connect RJ-45 ports with cooper cables to get transmission of up to 100m and connect SFP/SFP+ slots with optical transceivers to reach distance up to 120km if you need. Configure your switch: Connect a computer to the switch using the IP address found in the switch manual. Set up the IP address for the switch, network address and netmask. Configure the VLANs: If possible, decide which port goes to which VLAN (virtual local area networking), and configure the switch appropriately. Network connection: Connect a cable from the uplink port to the rest of the network. Then, you can connect Ethernet LAN port from router to one of the normal ports on network switch by using crossover cable. If there is an uplink port on the switch, you can connect it to router’s Ethernet LAN port using straight cable. After that, you can connect other devices (for example, computer and notebook) to the switch’s normal port by using straight cable, finally they are all connected to network and able to access internet. Form all the above, there are several factors (speed, number of ports, etc.) 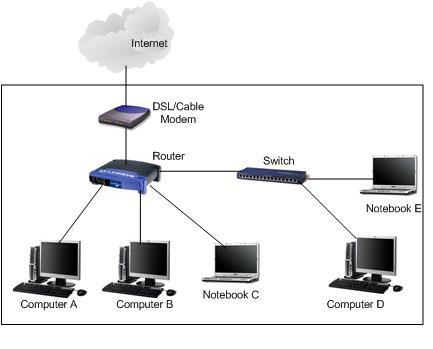 you have to consider on how to use a network switch. Just follow the guidance given above and then you can expand your network using a switch with ease. By the way, if you have special requirements for a network switch, FS.COM offers various switches to meet different needs. switch function of switch in networking, how to use a network switch, how to use Ethernet switch, types of switches in networking. permalink.